If you’ve been looking for a new seafood joint, look no further! 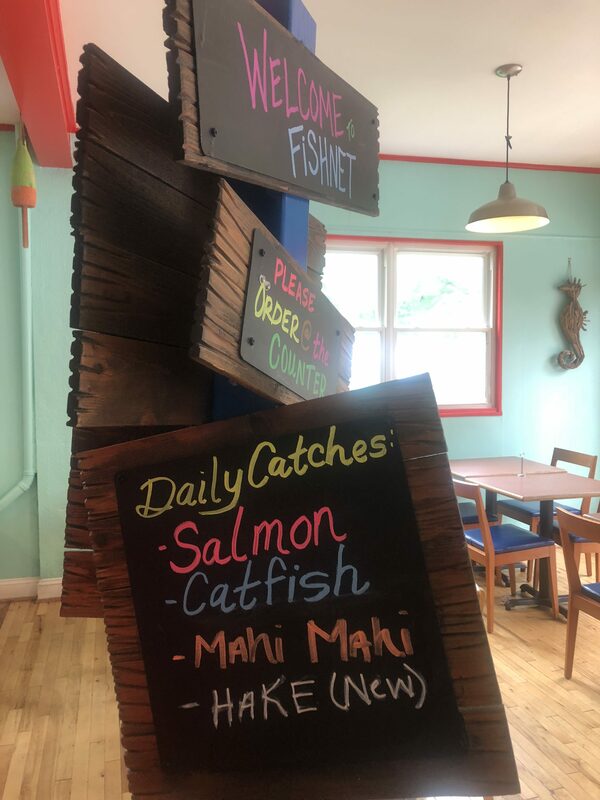 Located minutes from the University of Maryland on Berwyn Road, Fishnet Restaurant is a favorite among the community for their fresh fish and seafood. The restaurant has charming outdoor patio seating, decorated with flowers and twinkling string lights hanging from the roof. The rustic style interior has bright and colorful walls which complement the wooden floors. The sea themed restaurant is small and cozy, perfect for a casual meal. Despite their delicious seafood, however, Fishnet’s got options for everyone! 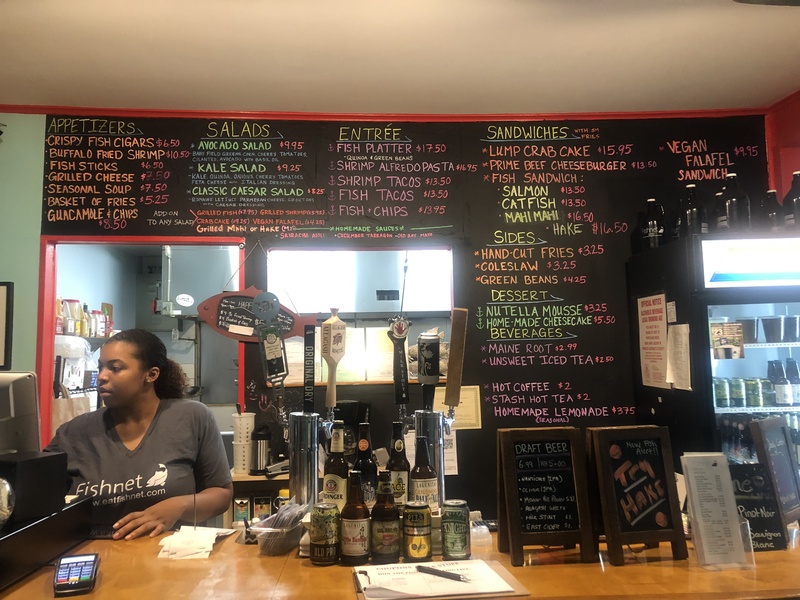 With an eclectic menu ranging from crab cakes to vegan falafel sandwiches, everyone can grab a bite to eat. The grill and bar is known for serving fresh, local, responsibly raised fish, while proving that you don’t have to break the bank to enjoy good food! The local favorite is Fishnet’s fish and chips, which includes fresh tilapia fried in a tempura batter alongside a bed of hand cut fries and tartar sauce. You can pair it off with a glass of wine, craft beer, or any of the other drinks available at the bar. Come in between 4pm and 7pm Monday-Saturday and enjoy happy hour with discounted food and drinks. Whether you’re looking for a quiet night, or something more upbeat, Fishnet’s events are always a favorite! Events in the past have included the Crab Fest and Bike Bash—all filled with good food and the company of great friends. 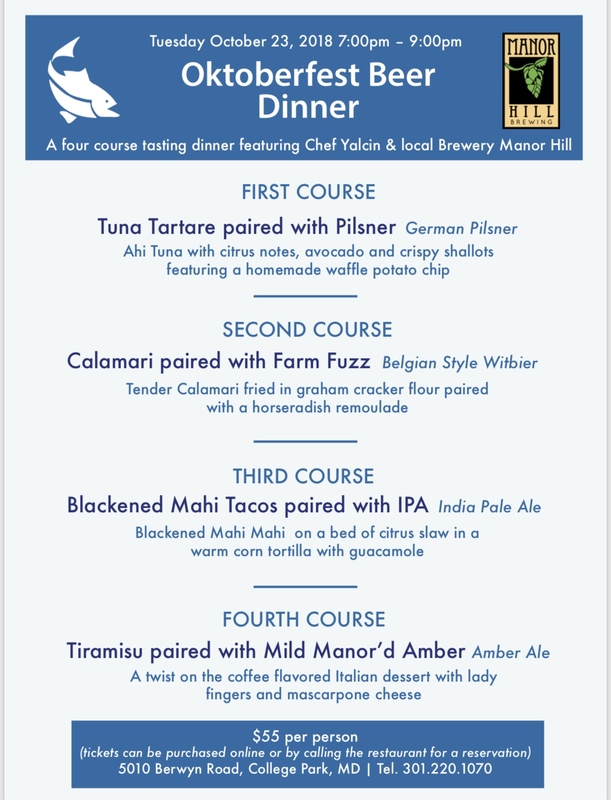 Their next event will be the Oktoberfest Beer Dinner on October 23rd, a four course tasting dinner featuring Chef Yalcin and local Brewery Manor Hill. ← Vigilante is a local favorite!